The residential construction industry predominantly stopped using aluminum replacement windows more than thirty years ago. As a building material, aluminum is a poor thermal insulator. It easily scratches and dents, and it doesn’t stand up well to years of harsh weather. And yet, nearly every sunroom manufacturer still uses aluminum to frame their sunrooms. At LivingSpace, we reengineered the sunroom with modern materials and precision manufacturing. 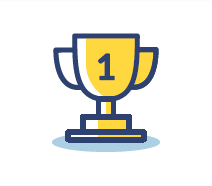 We patented the unique PulTrex framing system using composite materials to create a sunroom that’s stronger, better insulated, more customizable, and built to last for generations. Aluminum is a very poor insulator. Because of this, heat and cold easily transfer into aluminum sunrooms and make it virtually unusable during the winter and summer. 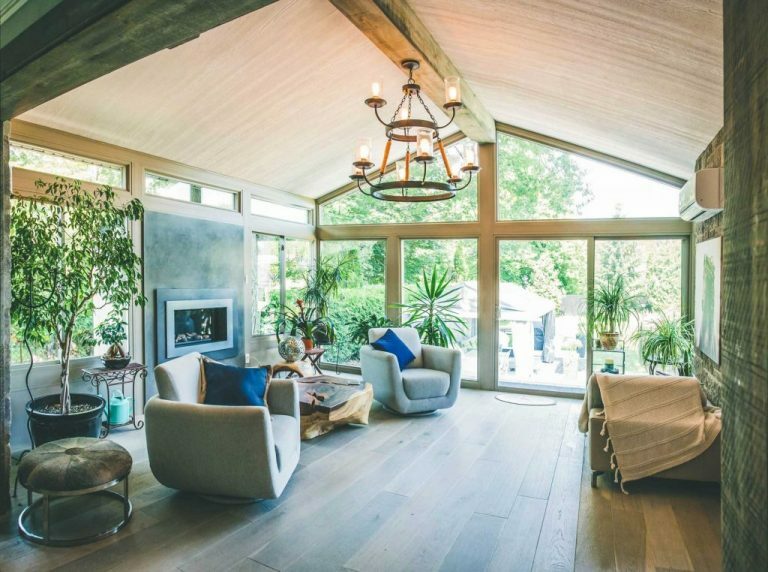 In contrast, LivingSpace’s PulTrex Framing System combines thermally-efficient vinyl and fiberglass materials, giving you the best thermal performance of any sunroom on the market. If you can dream it, LivingSpace can make it happen. Other sunroom manufacturers use set-sized windows and cut raw materials on-site. With LivingSpace, your sunroom is precision cut in our factory, and we build custom windows with every project. In addition, our Amilock technology allows us to maximize glass exposure and minimize unsightly fill panels, giving LivingSpace customization options that are not available to any other sunroom manufacturer. Our PulTrex Framing System provides superior strength compared to a traditional aluminum sunroom. 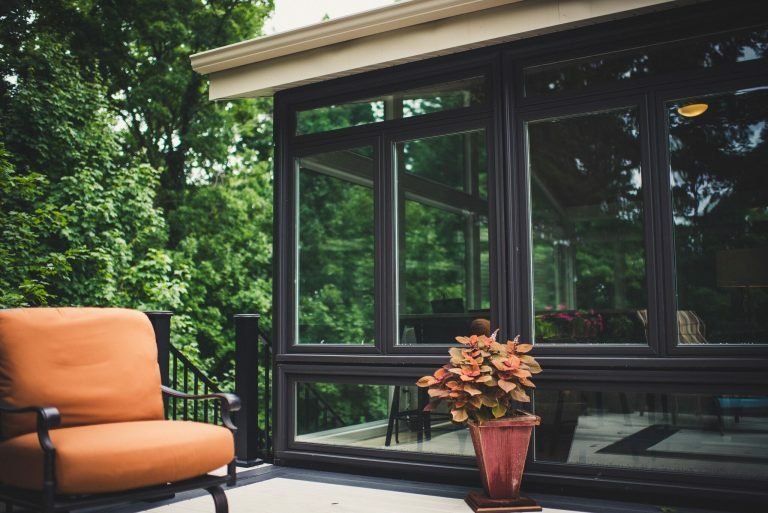 Engineered to withstand earthquakes and hurricane-force winds, the LivingSpace sunroom provides the same structural integrity as a well-built home. No aluminum sunroom can make that claim. 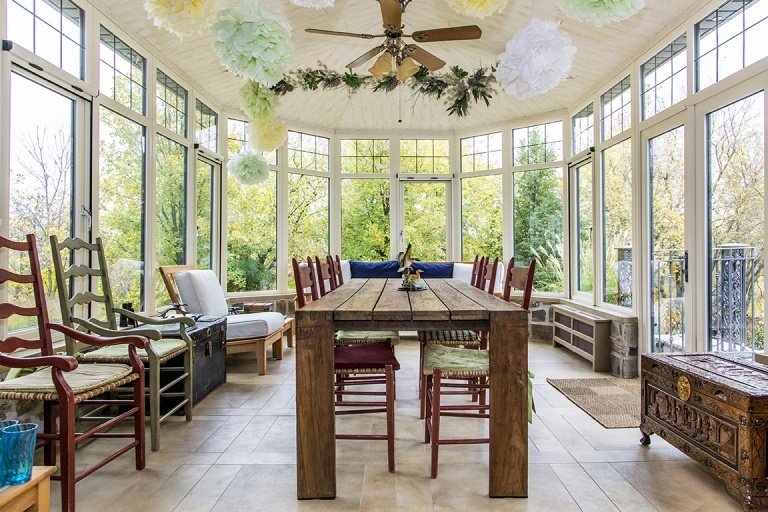 The LivingSpace sunroom is exceedingly more sustainable than other sunrooms on the market. Because we precision cut our products, we create less waste. The process of making the raw material is less energy intensive. 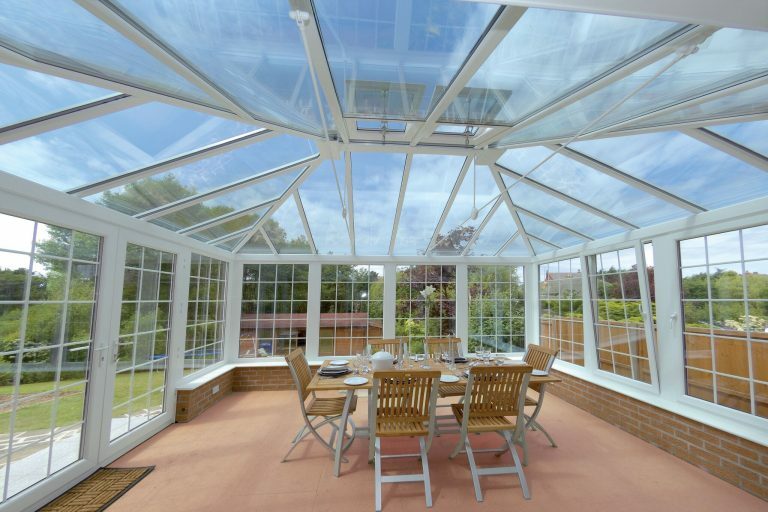 Our product lasts longer than the traditional sunroom, reducing the impact on the environment. While aluminum sunrooms may sometimes have a cheaper upfront cost, a LivingSpace sunroom offers far more lifetime value. Our rooms are less expensive to heat and cool. The quality ensures a longer lifespan and less ongoing maintenance. 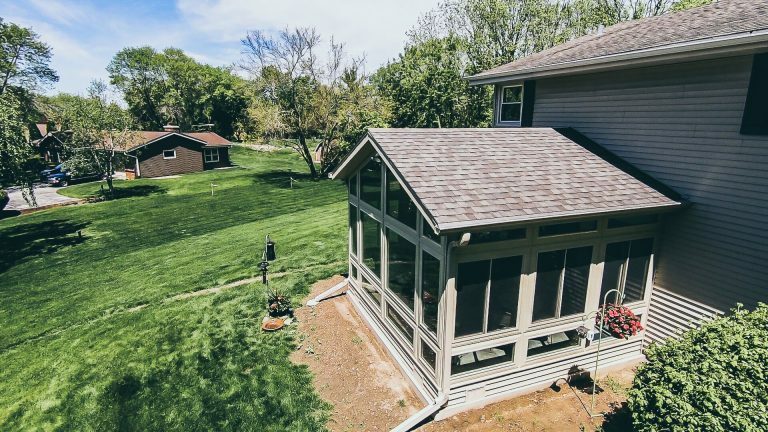 And we build the only sunroom that meets building codes to add square footage to your home. This gives you a more valuable return on investment monetarily, but it also makes a living space that you can enjoy using as part of your home for years to come.